...is my lickle sisters birthday. Well she is not so lickle anymore, she's going to be 22 and she has her own house and car (which is more than I have) but she'll always be lickle to me! 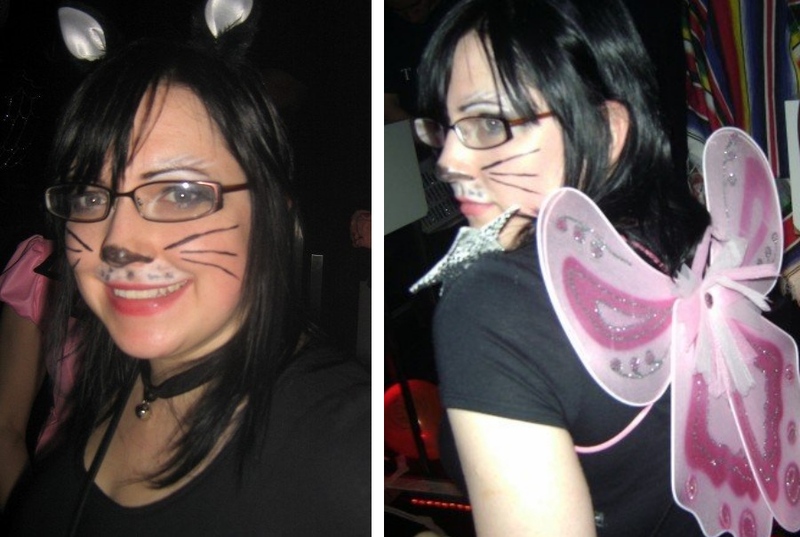 Normally we have family meals or days out to celebrate but I thought I'd share with you the one time I got to dress up and go out during my final year of university. I had so much work on that I didn't have the time to go home for a weekend but a night out with the girls was just what I needed! My sister is coming up today for the weekend (and my parents are coming tomorrow) so the birthday/halloween celebration start today! I might insist we get a pumpkin as well as a cake! p.s. I'm feeling much better today - thank you for your lovely comments yesterday. Fantastic Mr Fox was sooo good yesterday and dates with Boyfriend always make me feel happier.